Mangoes are a favorite summer delicacy in Pakistan. Mainly grown in Punjab and Sindh provinces, they are known as “the king of fruits”. Several varieties of the crop exist in the country, including Chaunsa, Sindhri, Dasehri and Anwar Retol. 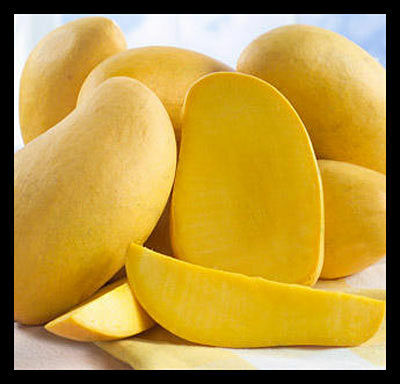 Although they are mainly eaten fresh, mangoes are also used to prepare chutneys, jams and pickles. Pakistan is one of the world’s top mango producers. According to the United Nations Food and Agriculture Organization, the country produced approximately 2 million tons in 2011. Recently, Pakistan has begun exporting mangoes to the US—the biggest and arguably most lucrative market for the fruit. The first consignment, sent to Houston and Dallas– two cities with large Pakistani-American communities– sold out within a few hours of reaching stores . Future consignments will be sent to New York City as well. The export of mangoes to the US is substantially due to the US government’s continuing engagement with Pakistan’s mango sector. Over the last few years, USAID has invested $5.8 million in Pakistan’s mango production, providing the means for new infrastructure and marketing assistance to help farmers sell their products globally. In addition, $1.6 million have been invested to help small and medium sized farms develop commercially feasible fresh and dried mango businesses. Through this program, twenty-six mango orchards have received the global GAP certification required for exports to high-end markets. Fifteen on-farm mango-processing facilities have been established. 2,500 jobs have been created and 3,700 farmers have been trained in the process. Consequently, mango exports to the international market have increased fivefold and sales have increased by around $20.5 million. One of the factors that had caused earlier attempts to export Pakistani mangoes to the US to fail was the country’s food safety regulations. The US authorities prefer that the irradiation process—a technology to eliminate disease-causing germs from food—be completed within the US. Farm House Exports is completing this process in Houston, which makes their venture economically feasible. The company’s success in fulfilling US safety requirements provides hope that other Pakistani exporters will be able to do the same. This season, the company plans to export over 100 tons of mangoes to the US. The efforts of Pakistani companies such as Farm House Export and USAID’s assistance to the country’s mango sector will allow American consumers to enjoy the unique flavors of Pakistani mangoes. It also serves as an example of the deepening of economic ties between the two countries.